Vaxcards is a game of infectious disease and fun! It is a strategic battle style card game where players collect diseases in order to infect and eradicate each other! You must improve your immunity through vaccination, however, you must reduce your opponents resistance to zero, so as to win the game. You have disease cards in your deck, which you use to infect the opponents with symptoms, while you can increase your defences by building your resistance level. Each player has their own deck of unique Vaxcards. The stronger immunity you have from vaccines, the stronger your hand will be with more options for you and unique moves, with which you may affect the game in many different ways. The illustration and game mechanics of Vaxcards are built around symptoms and statistics from real diseases. It features a simple objective, yet many tactical and fun ways to infect your opponents! 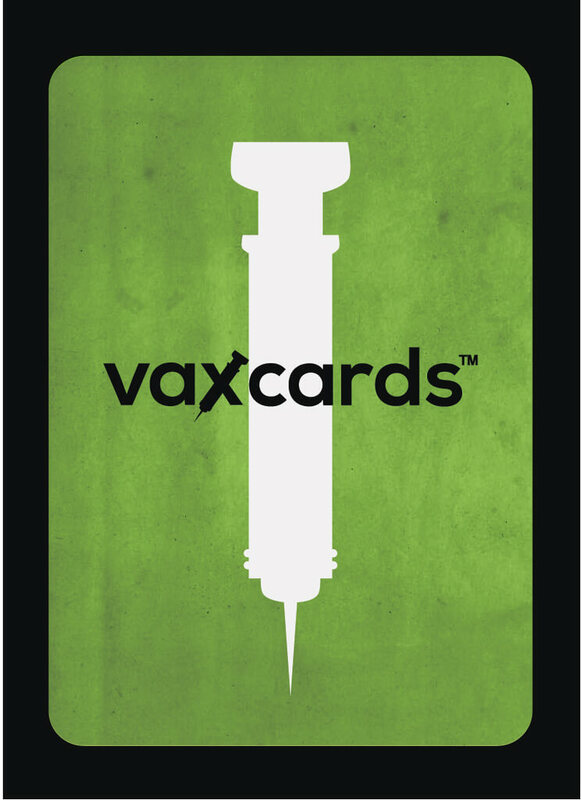 Vaxcards has reached its funding goal on Kickstarter and will be running until early December.